What do you do when you have a Spring Trend Report luncheon and it's cold outside? 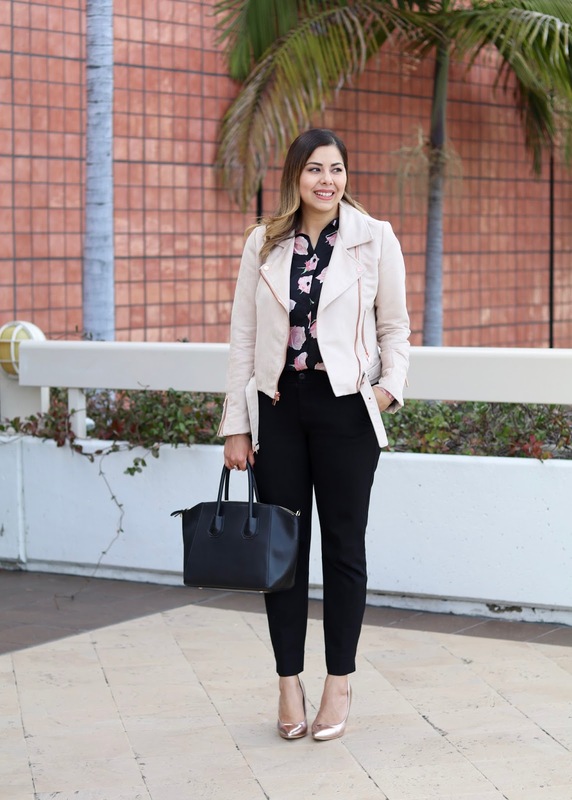 You add touches of Spring to your otherwise Winter outfit! 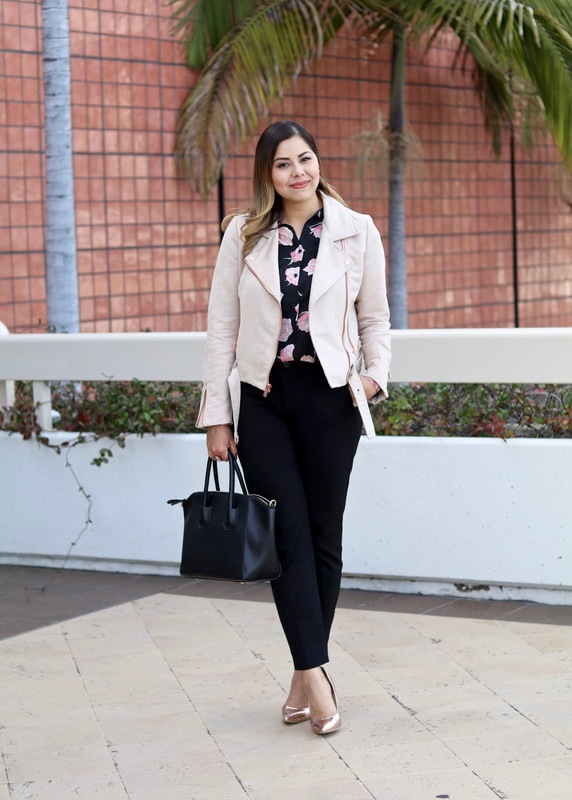 Well at least that was my solution for this year's Spring Trend Report at Neiman Marcus Fashion Valley (which I will cover in the next blog post)! Interesting enough, this time last year I was taking advantage of how warm San Diego was and wore this! This year I was so cold as I was getting ready that I decided to go with trousers instead of a dress, go figure! 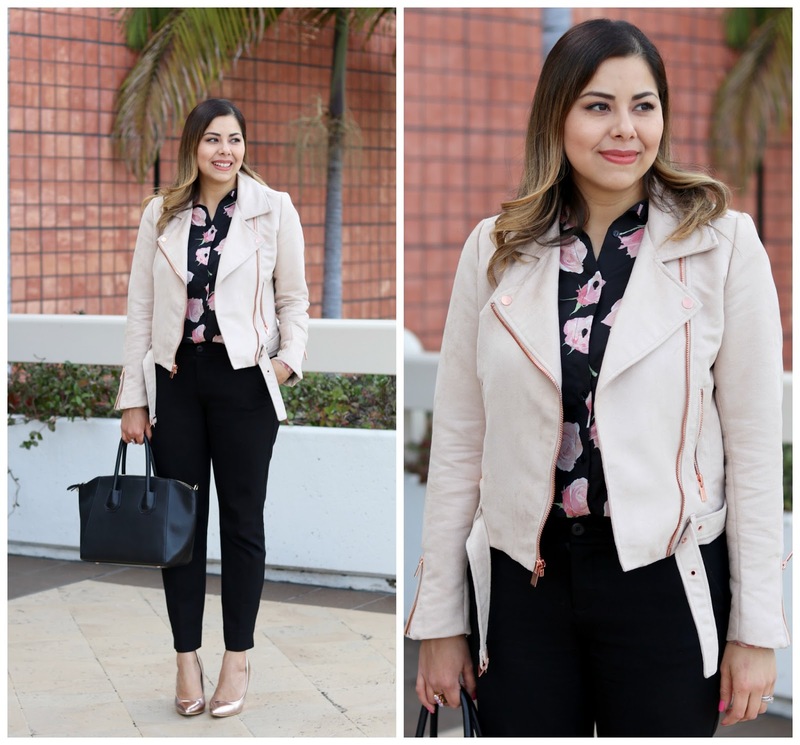 About the Outfit: Galian Georgie Top Handle Handbag (here) | Blush Moto Jacket (similar here) | Rose Print Top (sold out, but similar here & here) | cabi black trousers (similar here) | ShoeDazzle Rose Gold Heels (similar here & here) | MAC Liptensity | MAC Liptensity Lipstick in "Smoked Almond"
Up next: The Neiman Marcus Fashion Valley Spring 2017 Trend Report! I am in love with your shoes and your hair... rose gold suits you well! 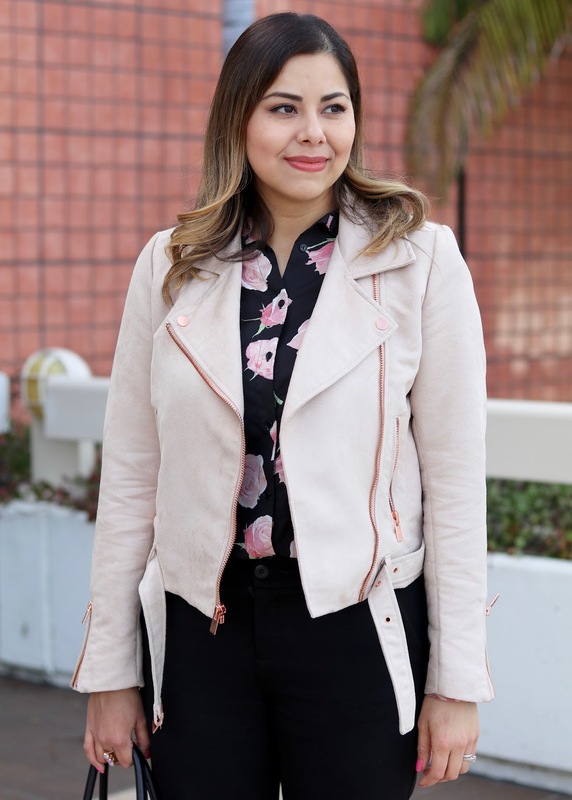 Great hint of spring with the flower blouse and the pastel pink jacket. Those metallic wedge shoes are fabulous. Thanks for sharing!